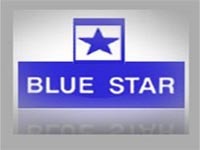 PINC Result Review – Blue Star Ltd.
Blue Star Ltd’s (BSL) Q2FY11 net sales grew by 25.2% YoY to Rs6.9bn against our estimate of Rs6.5bn. OPM contracted by 338bps to 8.5% on account of higher input cost and change in product mix (higher contribution of trading). Lower operating margins coupled with higher effective tax rate (31.1% against 24.2% YoY) led adj net profit to de-grew by 12.6% to Rs386mn lower than our estimate of Rs449mn. VALUATIONS AND RECOMMENDATION We have decreased our net profit estimates for FY11 and FY12 by 20% and 12% respectively on the back of margin pressure and higher tax rate. Removal of tax benefit on Himanchal Pradesh unit has increased effective tax rate for FY11 to ~29% from ~25% in FY10. At the CMP of Rs454, the stock trades at a P/E of 22.5 & 17.3x and an EV/EBITDA of 13.0 & 10.2x of FY11E & FY12E earnings respectively. We are positive on the stock with improvement in domestic scenario in FY12, however, with current valuations, we maintain our ‘HOLD’ recommendation with an increased target price of Rs471 (18.0x FY12 EPS - at par with Voltas).